catches worms and snakes and many things in the abundance here. thank you for the many thoughtful comments on my photos, this is such a great place! 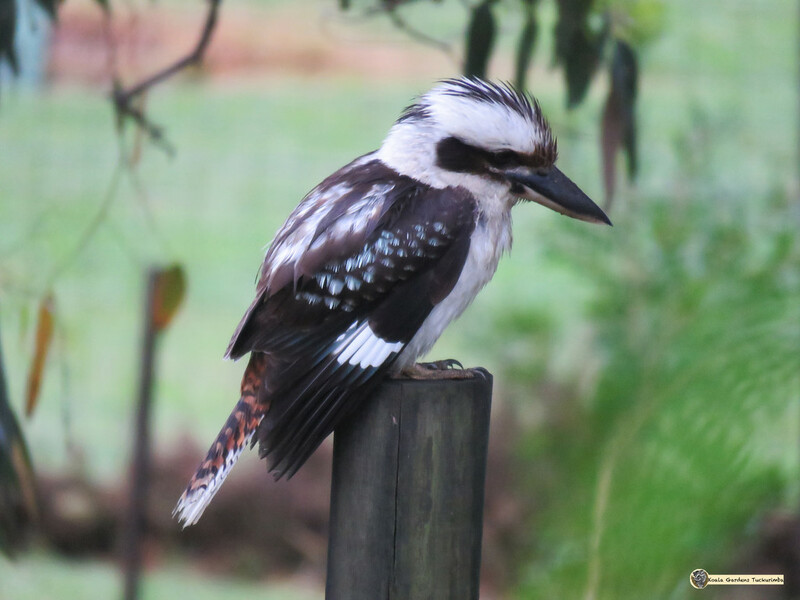 That is one handsome kookaburra! "Oh, lovely kookaburra, You're one of my favourite birds!" I'll never forget waking on my first morning in OZ and hearing them laughing! What a magical morning that was! ...Your photo is Beautiful!! Handsome chap - I do so enjoy seeing wild-life on 365 that we don't have in Europe. Lovely markings on this beauty! Nice feathers. I had never noticed the coloured tail before.